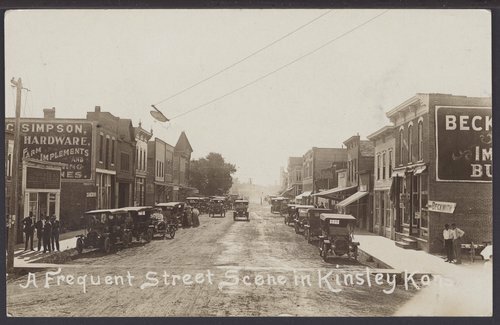 A postcard view looking west on Sixth Street (Main Street) showing businesses and automobiles in Kinsley, Kansas. Visible is C. Simpson Hardware store, on the left, and Beckwith Hardware store, on the right. At this time, the street was not paved.